The Eastland PD provides around the clock protection to ensure all families will receive the help it needs in the fight against crime. The safety of YOU, our citizens, is the number one concern of the Eastland Police Department. From traffic enforcement to accident investigations and criminal investigations to animal control services, the dedicated men and women who serve in 'YOUR' Police Department all share a common philosophy ......To Serve and Protect. 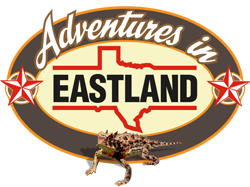 'YOUR' Police Department believes that living a good life in Eastland means feeling like you are safe at home, work or play and we take that, our responsibility, very seriously. We are committed to providing efficient, effective and professional police services to 'OUR' community so that all citizens, as well as visitors, can enjoy everything that Eastland has to offer. To help accomplish this, the Police Department employs nine (9) full-time certified Police Officers and hopes to soon begin building a staff of certified, volunteer Reserve Police Officers to enhance our manpower capabilities. In addition, we have civilian staff members who provide clerical records management and animal control services. Uniformed patrol officers are typically the most visible, but the Department also provides specialized units to address specific crimes and community issues. 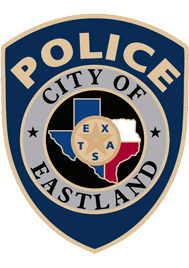 As stewards of the public trust, the personnel of the Eastland Police Department have committed themselves to the goals of delivering the most proactive, responsive and professional police services available, while maintaining a positive customer service attitude. We take pride in and strive to ensure that we live up to our motto.........Honored to Serve, Dedicated to Protect........each and every day. Fostering a good relationship and working in collaboration with other law enforcement agencies in and around Eastland County will only help to ensure that we meet your expectations.